Book NOW: AA First and Business to Asia and Beyond—the Nitty-Gritty! 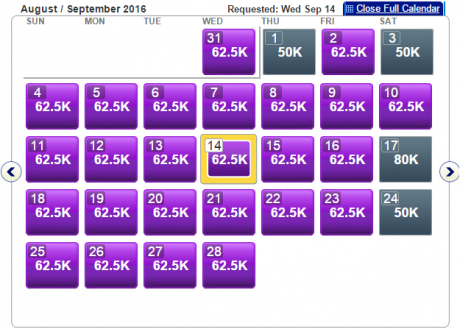 So if you feel the urge to blow wads of American AAdvantage miles before that date, you’re not alone. It seems, that American feels the same way. 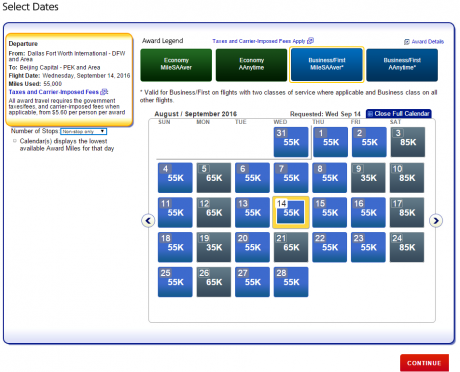 You can get a lot of AA First and Business Class award seats almost everywhere they fly. Don’t put it off though—good things ain’t built to last in this hobby. After frustrating months of almost zero premium class availability, AA First and Business Class Award space is wide open on some of its most coveted routes. How wide? 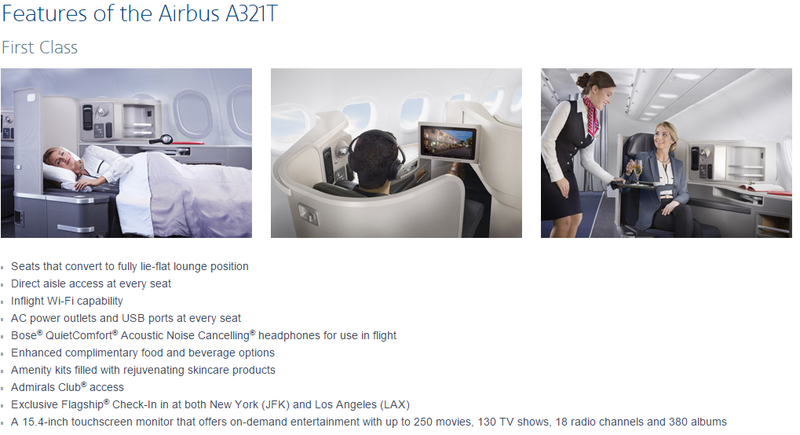 Up to 4 seats per cabin. On what routes? We are talking Dallas-Hong Kong, Chicago-Tokyo, New York-Paris or Barcelona, LA-Sydney (although availability for the latest has dwindled before my own eyes in the matter of hours). It’s a good thing, AA retrofitted the whole bunch of its aircraft with new lie-flat seats in business, so in all honesty, you don’t need first class in many cases, unless you believe you totally deserve it. 🙂 And AA First and Business availability to Asia is excellent across the board. American Airlines Asian destinations are limited to these 3 hubs (please do correct me if I’m wrong). Dallas—to: Beijing, Shanghai, Seoul, Tokyo, Hong Kong. Asia 1 (Japan, Korea): 50,000 in business, 62,500 in first. Asia 2 (elsewhere): 55,000 in business, 67,500 in first. Asia 1 (Japan, Korea): 60,000 in business, 80,000 in first. 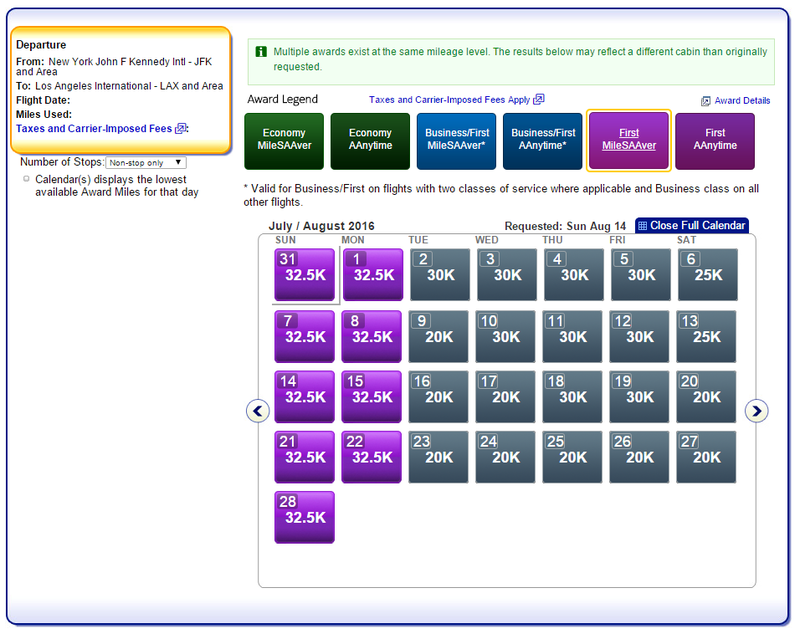 Asia 2 (elsewhere): 70,000 in business, 110,000 in first. AA plane configurations data is to the best of my knowledge, but equipment can and does get changed. 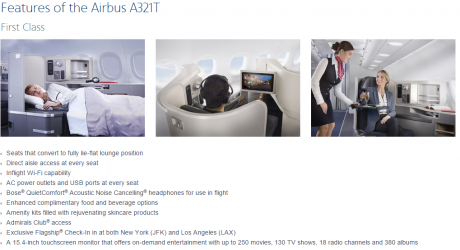 Besides, to avoid confusion, 3-cabin means first, business and economy, 2-cabin means business and economy, without consideration for premium economy, economy plus, etc. Historically, catching a premium seat on some of these destinations has been nearly impossible. A flight between Dallas and Hong Kong, for example was almost never available, as this is probably the most popular AA flight between the U.S. and Asia. Well, let’s take a look now. Below is availability for two people in First. And there is still some availability for up to 4 people. Below is current availability for 4 people in Business. 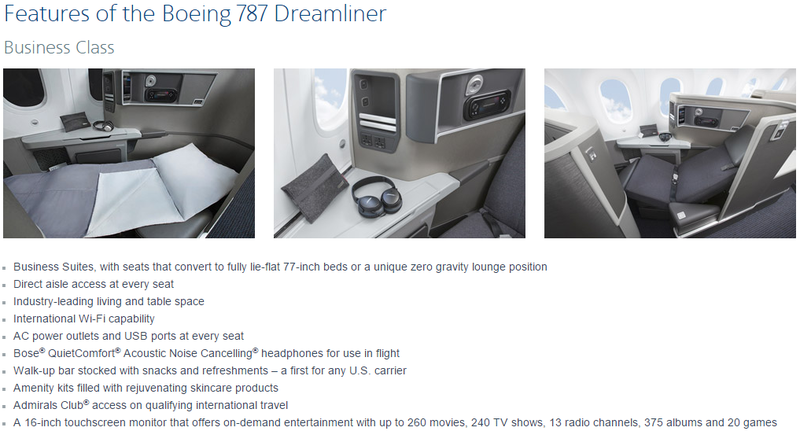 From the reviews I’ve read, it doesn’t appear there is much difference between business and first in terms of hard product, but I’ve never taken this flight. Here are some more examples. Dallas-Seoul in first for 4 pax. Dallas-Tokyo, also in first, and also for 4. 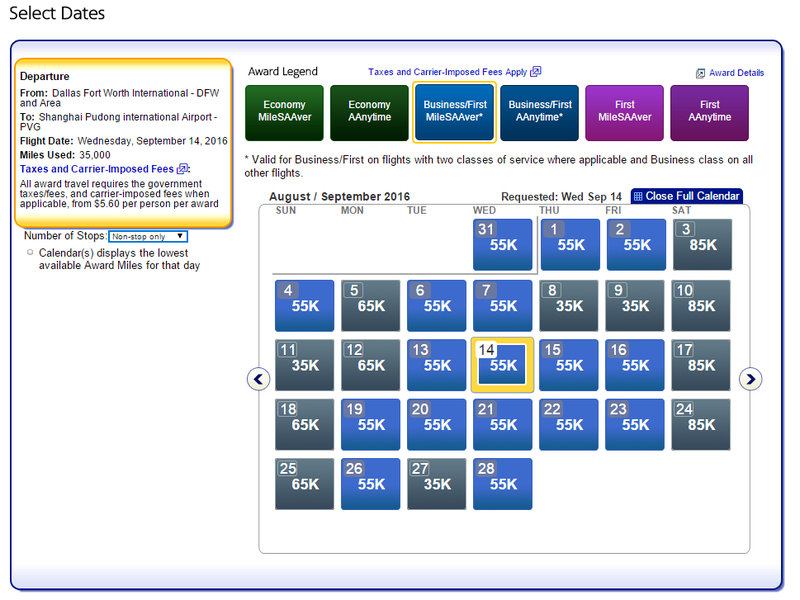 Dallas-Beijing for 4 in business (on a 2-cabin 787). At some point, I began to question if it all was for real. Even though AA.com is not known for displaying phantom availability like United, I decided to make the next step. AA didn’t flinch. You have a similar situation for all other Asian flights departing from LA and Chicago. There is incredible availability across the board! Europe and South America: 50,000 in business, 62,500 in first. On/After March 22: 57,500 in business, 85,000 in first. American doesn’t have too many international destinations, but it’s still too many to check manually. So I took the easy way out and only checked the ones that fly from/to JFK. I loved what I saw. American Airlines flies to the following international cities: Barcelona, Birmingham, Buenos Aires–Ezeiza, London, Madrid, Manchester, Milan, Paris, Rio de Janeiro, São Paulo, Zürich, and seasonally to Dublin, Edinburgh, and Rome. As you’ve noticed, I’ve excluded nearby destinations of Mexico and Caribbean, since they are just a waste of a first-class seat, IMHO. The results of my search are incredible. Plenty of premium award space to pretty much everywhere, excluding Milan, but including such traditionally difficult destinations as Paris and Barcelona. The info you see here is to the best of my knowledge. Equipment can and does get changed. And while we’re at it, let’s not forget the best domestic seats in the industry—between New York and LA/San Francisco. 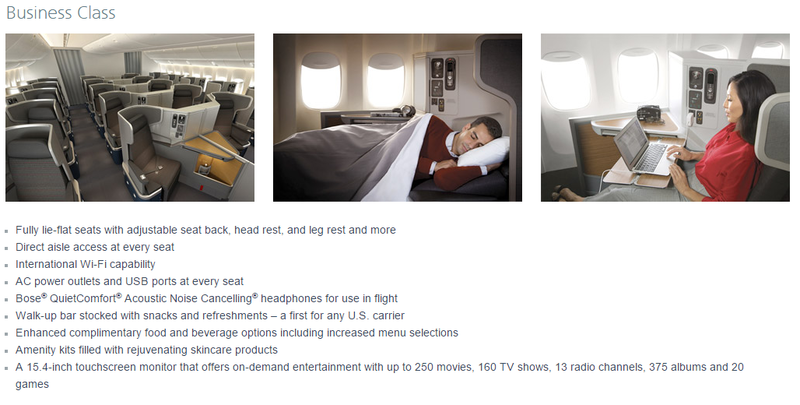 These routes are served by A321, and both first and business class cabins feature lie-flat seats. 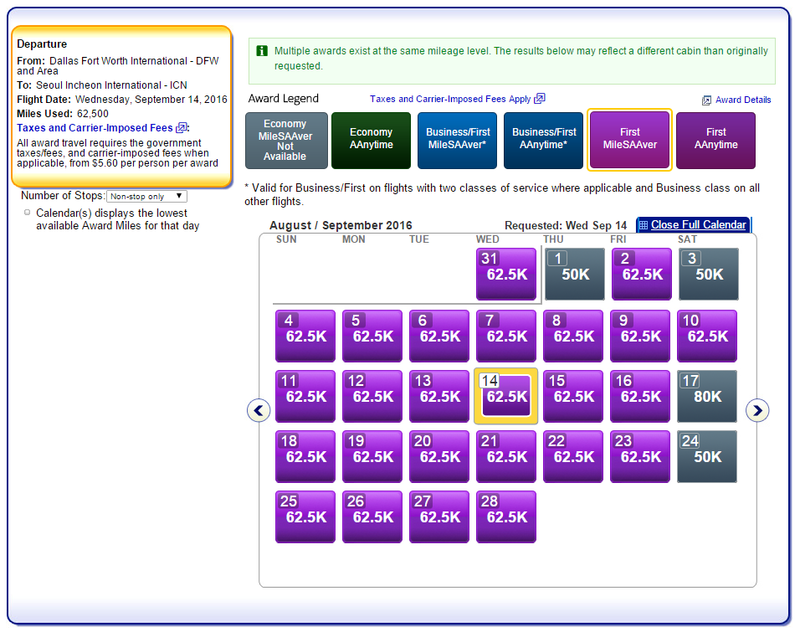 Availability on these routes is not as generous, but there are still enough award seats, often for two people. Kudos to American for listening to the members sometimes and doing something about their frustrations. It’s really funny, though, how easily we forgive and forget—just one random act of kindness (or whatever), and we are ready to praise and love again. 3 Responses to Book NOW: AA First and Business to Asia and Beyond—the Nitty-Gritty!